GET THE SMILE YOU DESERVE without waiting any longer. Many individuals think that dental braces are just for teenagers, however more adults need adult braces and younger children are getting children’s braces to straighten their teeth as well. Orthodontic care can correct the teeth of children as young as seven years old who need to get braces in order to prevent bigger problems in the future. Straight teeth are important for more than cosmetic reasons. Straight teeth are also important for proper health and function. Serious dental problems can arise if your teeth do not bite properly. Advanced technology in orthodontics allows you to choose from several options when it comes to braces. 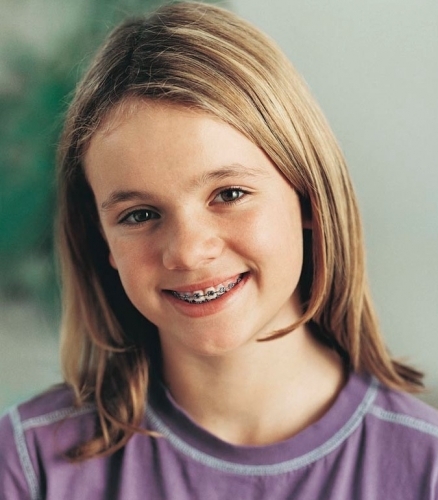 Metal braces are still the most common type of braces used in orthodontic treatment from straightening crooked teeth to correcting an overbite. The metal used is made of high-grade stainless steel. The teeth can be aligned by placement of orthodontic wires that are attached to the braces. Ceramic braces are similar to metal braces and typically used if a patient would benefit from traditional braces but is concerned with the aesthetic appearance of metal. Lingual braces work just as well as metal or ceramic braces and are located behind the teeth on the tongue side. Invisalign is an advanced alternative to traditional braces that does not comprise of fixed appliances. Expanders are beneficial in expanding a small arch to create a wider smile. To achieve this a removable or cemented expansion appliance is used. Teeth can be relocated without braces by wearing removable retainers if the patient has a correct bite. Retainers are also used after braces are taken off to hold the teeth in place.